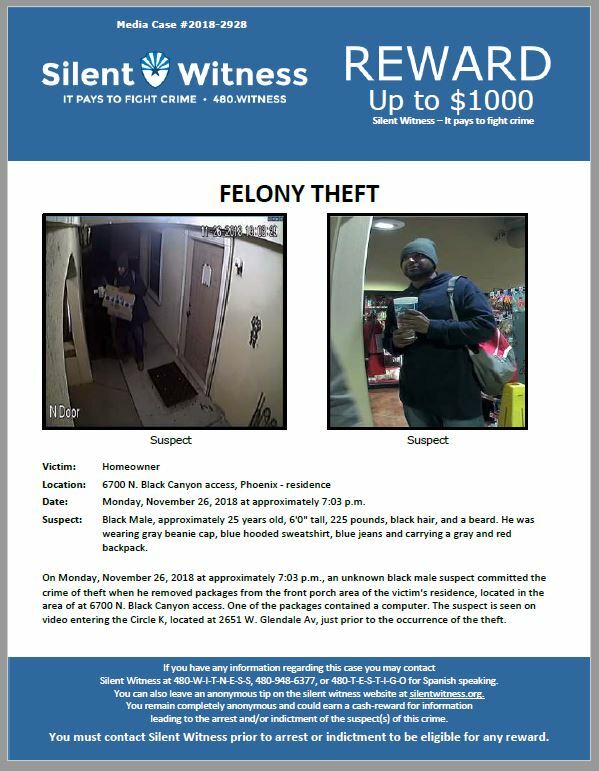 On Monday, November 26, 2018 at approximately 7:03 p.m., an unknown black male suspect committed the crime of theft when he removed packages from the front porch area of the victim’s residence, located in the area of at 6700 N. Black Canyon access. One of the packages contained a computer. The suspect is seen on video entering the Circle K, located at 2651 W. Glendale Av, just prior to the occurrence of the theft.